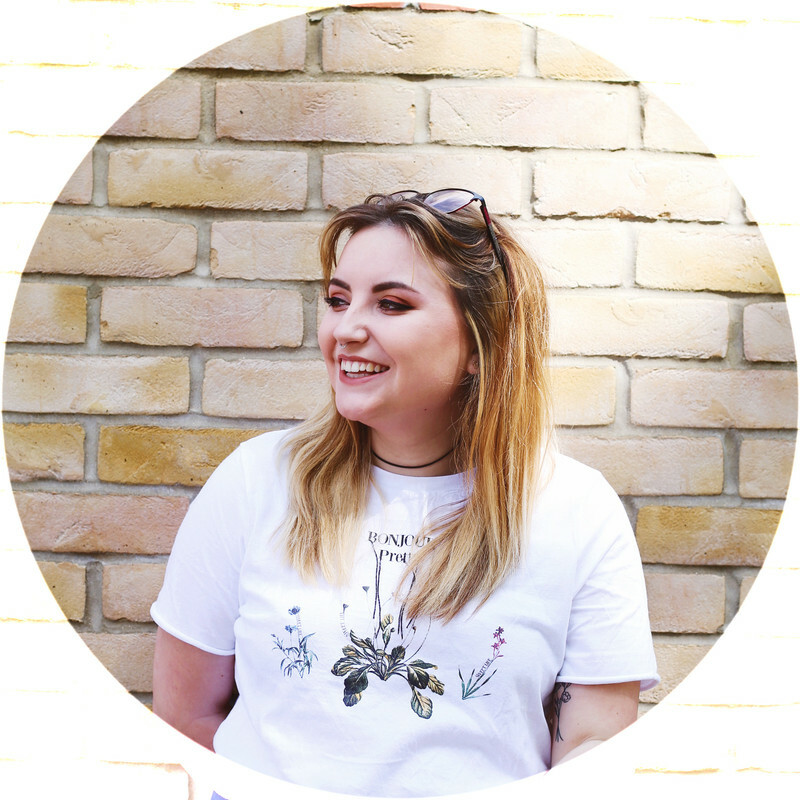 The first of my #SummerBloggerChallenge posts, I decided to take part in these series of posts as a way of improving my blog. I'm glad I've found my little blog 'spirit' before starting this challenge so I think the next few weeks of posts will be extremely fun to write. I'll be posting summer related posts every Tuesday & thanks to Amy for the challenge and post topics each week. So for the first post, it's all about summer bag essentials! Which to me doesn't just mean my essentials when it comes to what's inside but also the essential bag I'll probably be using all summer…and with the bag in this post, if I had the money I'd be ordering right now. Damn being a poor (no longer) student!! My bag isn't exactly ready for summer just yet, so instead I thought I'd do a wishlist of the summer essentials I want to use this summer or what I still need to purchase. I always like an excuse to have a new bag and I haven't got one in this colour, I adore it and like the fact its slightly smaller compared to others so very handy for the summer time. Along with a handbag every one needs a new pair of sunglasses each summer, my favourites by far are Rayban style aviators or wayfarers…which you can much cheaper on the high street. Of course, I'm not sure if this is the photographer lover or in the blogger in me, but I MUST have a camera with me at all time, I do this throughout the year but summer time photos seem to have the best stories & memories. If I don't have my camera with me I'm always prepared with my iPhone, with mine being a brand new phone I'm in need of new accessories including a phone case & found this one the perfect colours for this time of year, and the little amplifiers are super cute and perfect to pop in your bag & use on days with your friends in the park when you want to listen to summer songs. Another essentials (specially for those going on holiday) is a summer read, because the films coming out soon I want to re-read The Fault in Our Stars as I found it amazing when I read it last summer. Finally makeup, summer to me means brighter lips with a more natural look, sadly for me less of the grey smokey eye & more bright or pastel colours (mainly for my lips), which work best for me and after a cheeky shopping trip yesterday I have Macs Candy yum yum in my wishlist & Tanya Burrs nail polishes look amazing & I think I need to get my hands on a few colours this summer. 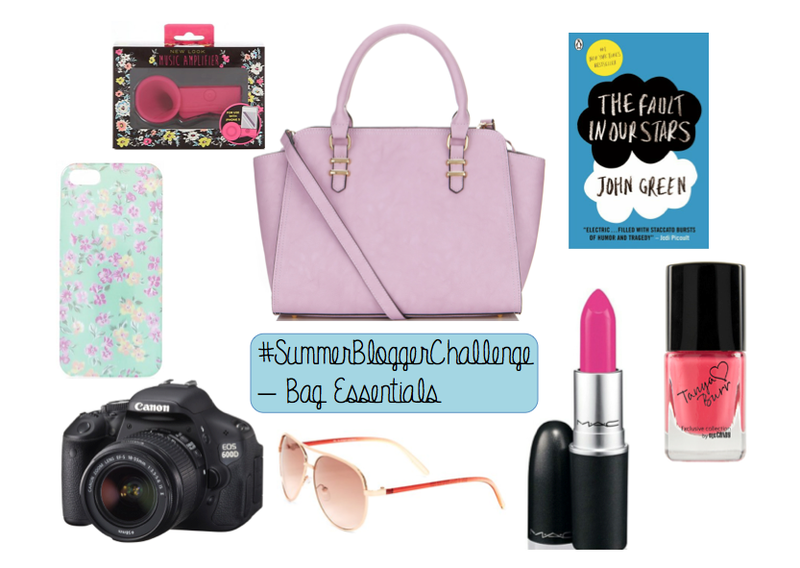 I hope you enjoyed my first #Summerbloggerchallenge post, although I have very few plans this summer, no holidays booked even after one post I'm excited to see what the summer brings & can't wait to use more summer time related products (& hopefully buy this bag, lipstick & nail varnish, hehe) . What's your summer bag essentials? Are you going away this year, what do you already have packed to go? Love all of your picks! That bag is lovely, I am also nowhere without my camera! I've just lent it to a friend, but I can't wait to read it again & watch the film, oh I'm so excited!! I'm in need of a few new phone cases, this might be purchased soon! I love your picks! That bag is absolutely stunning: the shape and colour are beautiful, and it looks much more expensive than it actually is. The phone case is also so pretty (and would look perfect paired with the bag!). Isn't it just!! I want them both, oh yesss please hehe. oh they'd look lovely together wouldn't they! Love your essentials! That bag is to die for! Thank you! It really is, I want it sooo bad!! I've been wanting to read The Fault in Our Stars for so long now, I'm definitely picking it up next time I go to the store. My heart sinks every time I see the trailer. Definitely want to read the book before seeing the movie though. I loved The Fault in Our Stars, it was very moving but such a good read! I've been wanting to try MAC's Candy Yum Yum for so long now. That bag is stunning, I'm a 1/4 of the way through the fault in our stars and am completely absorbed already. Highly recommend!